In his first year of business, Tim was just a man with a van and a passion for seafood; over 25 years later, the Cotswold-based company has gone from strength to strength and now consists of over 75 experienced staff and a fleet of 16 refrigerated vans delivering to more than 500 loyal, satisfied customers (many daily) in 11 counties, including 10 restaurants with Michelin stars. With the appointment of Grant Brown in 2003 we added a range of speciality foods, many sourced locally (such as Cotswold game), plus fine foods from Rungis Market in Paris and an extensive selection of dry goods and other chef's essentials. 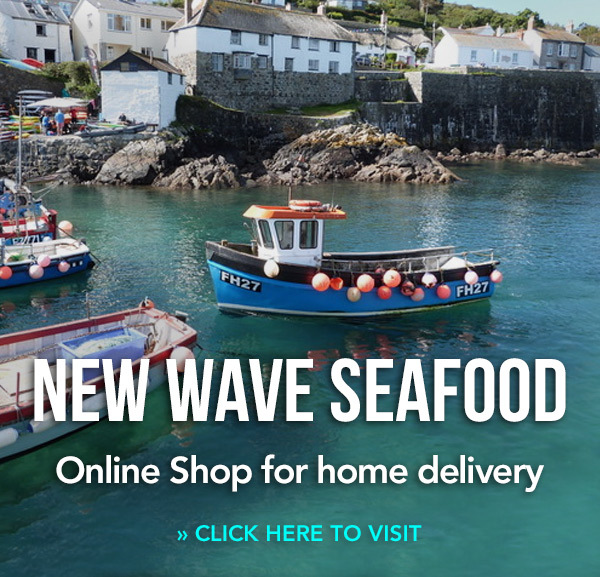 This side of the business is now known as New Wave Fine Foods, and although stored in a separate building, our fine foods and seafood can be combined in one delivery. Our fine food department is a specialist company in its own right and Grant has a weath of valuable experience in this area. In February 2016 New Wave Seafood acquired Kelynack Cornish Fish, which operates as a division of New Wave. Kelynack Cornish Fish is a small, family-run fish business set up over 20 years ago. It operates from Mullion, a village in southern Cornwall on the Lizard Peninsula. By acquiring Kelynack, we now have a valuable base (staffed by the current team with local knowledge and contacts) on the Cornish coast. Most importantly, we have access to a network of small local fishing boats that land regularly and exclusively to us. 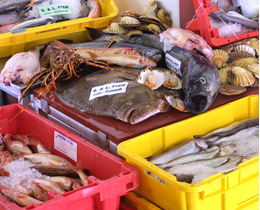 This means we are able to offer you the very freshest fish and shellfish, straight off the boat. With a shared commitment to sustainable fishing and preserving the marine environment, Kelynack and New Wave Seafood make natural partners.The acquisition of Kelynack Cornish Fish means we can supply you with even fresher responsibly sourced fish and shellfish – and more of it. At New Wave we are committed to quality, value for money and a friendly, efficient, personal service. We source only the best, from suppliers we know well, our filleting team works through the night to prepare orders to meet your exact specifications, and our refrigerated vans deliver to your door 6 days a week, usually by noon. We have a genuine passion for the quality of our fish and shellfish and make sure that it is responsibly sourced. Although the business has grown over the years, New Wave continues to be an independent, owner-operated business; because we are not owned by anyone else, we have greater flexibility and are better placed to serve our customers' individual needs. We are very happy to offer advice on quantities, portion control or preparation to all our customers. Also, you are welcome to come and visit our premises by appointment; we'd be delighted to show you around so that you can meet the New Wave team and see how and where we work and our extensive range of first-rate products.